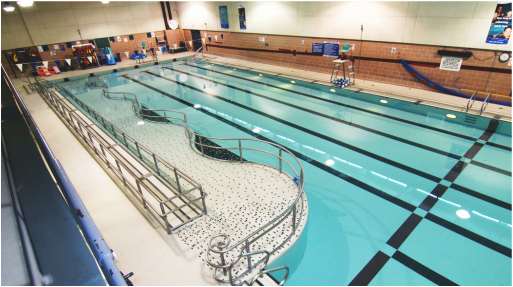 As part of the North Centennial Recreation Centre renovation, a new accessible aquatic entry was constructed for the existing Olympic-sized pool. 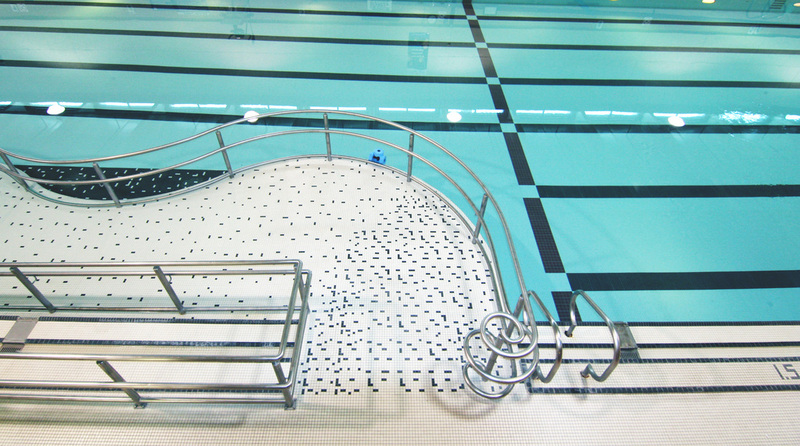 The new sloped tile walkway allows users of all ages to gently and safely enter and exit the water. 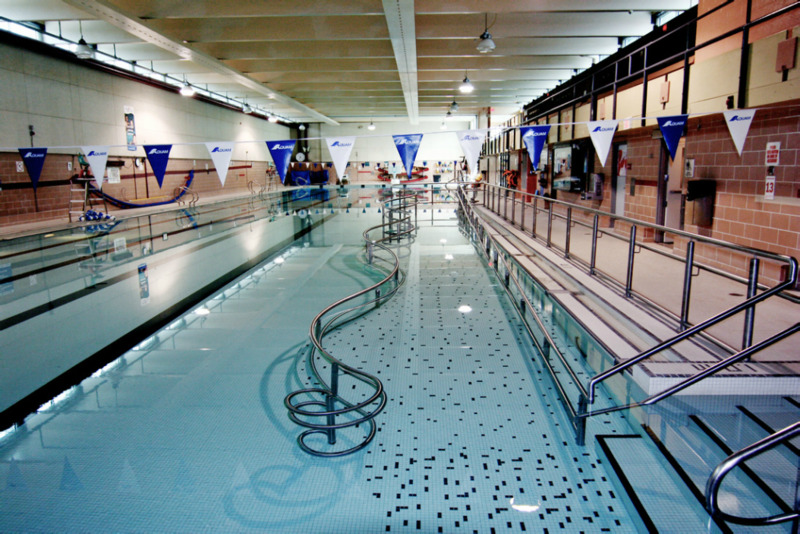 The undulating edge of the walkway further integrates the entry with the existing pool by creating alcoves for built-in benches within the water, allowing the walkway to become an engaging public space.